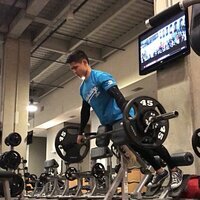 Maintain control during monster lifts with our Bodybuilding.com Wrist Wraps. 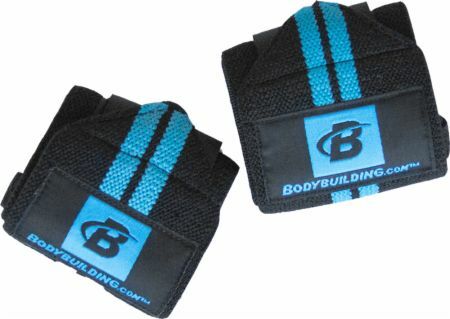 These solidly constructed wraps fit snugly around the wrists to provide extra support during even the heaviest lifts. Made from a blend of rubber and cotton, these wraps offer the perfect combination and stretch and support. The oversized thump look assists with ideal positioning, and the extra wide 2” Velcro strap ensures this wrap stays in place. Used these the other day for bench and squats! I like them a lot. Material isn't too stiff and easy to get on and off. Would definitely recommend getting a pair! 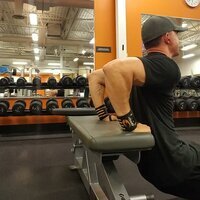 Keep wrist in place while lifting big heavy stuff! Love em!